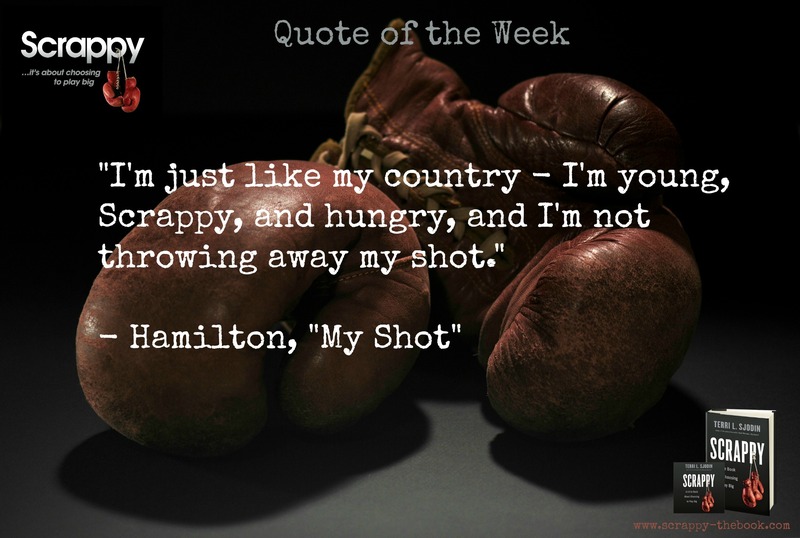 “I am not throwing away my shot! I am not throwing away my shot! Yo I am just like my country, I am young, scrappy and hungry! Scrappy is generally defined as being full of fighting spirit! It is synonymous with having moxie, being feisty, enthusiastic, gutsy, lively, spunky… maybe even a bit rebellious. I love that Hamilton defines himself as scrappy! 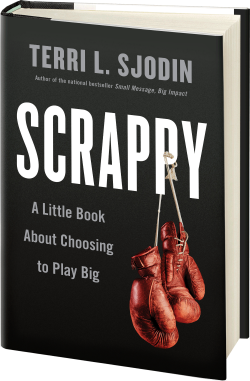 In fact, Lin-Manuel’s backstory is a lot like Hamilton’s – he is also scrappy! His parents are from Puerto Rico, so he can relate to the Founding Father’s story of immigration, and Lin-Manuel is described as a bit of a revolutionary himself as Hamilton brings radical success to Broadway. He had a big, crazy idea to create this show, put in a ton of hard work, and took his shot! His vision, attitude, strategy, and execution have made him a creative force to be reckoned with, not just on Broadway, but worldwide. He’s a Scrapper! With the 4th of July just around the corner, I thought it would be the perfect time to recognize Hamilton – and Lin-Manuel! – as our scrappy person(s) of the month. I hope their stories inspire you to take “your shot” too! Play big and Happy Independence Day!